As mentioned in our previous blog, ClassJuggler’s Customer Communications Tracker will create all of the tracking records for communication activities that are auto-generated. 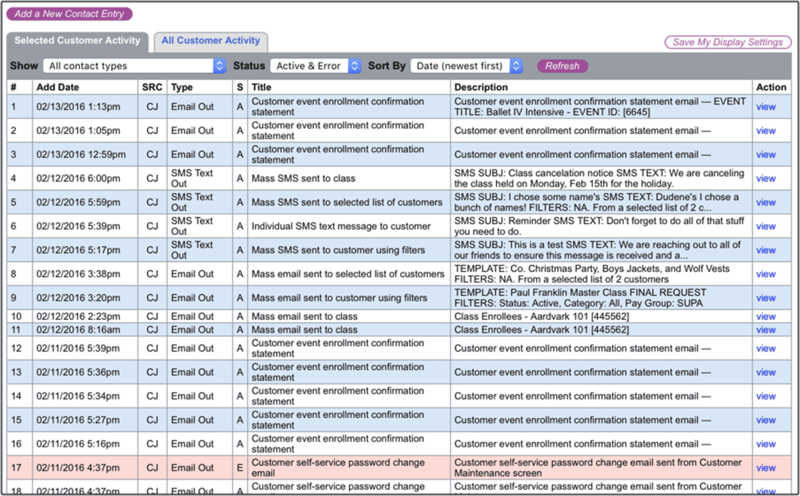 But for all other communications, like incoming or outgoing phone calls, external emails, packages sent/received, and others, you can optionally add your own tracker records – useful for connecting front-desk activities with your customer records in ClassJuggler. With each new record you add, ClassJuggler sets the date and time for you. But if you are noting a customer call or discussion from an earlier time, simply change the date or time of the tracker entry to when the communication activity actually occurred. To learn the key features of the Customer Communication Tracker, and how to use them, sign in to your ClassJuggler account, and go to the ClassJuggler help screen for the tracker. Or contact us and we can answer your questions or walk you through it. If you use the communications tracker by Apr. 20, 2016, we want to hear how this new tool has helped your business. To thank you for your feedback, we are giving three lucky entrants a chance to win a $50 Target® gift card. Read how to enter the contest here. This entry was posted in Cheer ClassJuggler, ClassJuggler Dance, ClassJuggler Dojo, ClassJuggler Fitness, ClassJuggler for Franchises, ClassJuggler K-12, Music ClassJuggler, Product Info, Swim ClassJuggler and tagged cheer class software, crm software for schools, dance class software, dojo software, gymnastics class software, k12 class software, swim class software, tennis camp software on April 6, 2016 by classjuggler. 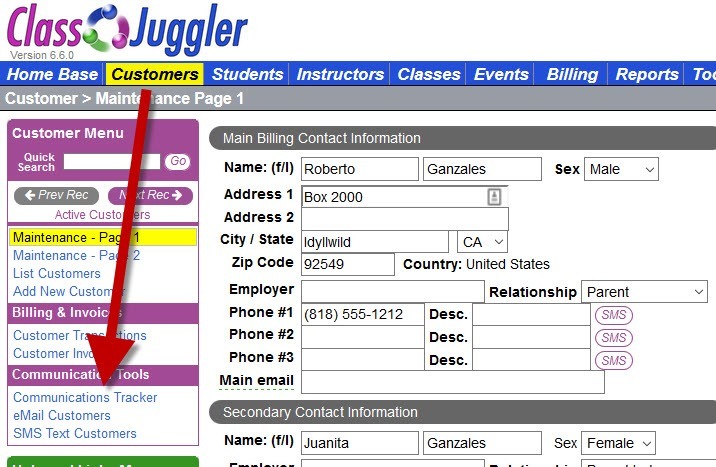 The ClassJuggler Customer Communications Tracker screen allows your school’s assigned administrators to view, create, and manage customer communications for all activities related to a customer either generated in ClassJuggler or elsewhere. Much like expensive customer CRM (customer relationship management) software solutions, the included ClassJuggler customer communications tracker helps you see all of the touch points for each of your customers. The communication tracker is especially helpful when you have several administrative users. For example, a front desk administrator may have a conversation on the phone with a client who asks about a certain class, and then creates an entry on that customer’s account with all of the information from that call. This could help you, the owner, or an instructor, if you need to know if an important topic was discussed with a customer. Emailing an account statement to a single customer. Enter our Communications Tracker Contest! If you get a chance to use the communications tracker by Apr. 20, 2016, we want to hear how this new tool has helped your business. And as a thank you for your feedback, we are giving three lucky entrants a chance to win a $50 Target® gift card. Read about the contest here. To learn the key features of the Customer Communication Tracker, and how to use them, sign in to your ClassJuggler account, and go to the ClassJuggler help screen for the tracker. This entry was posted in Cheer ClassJuggler, ClassJuggler Dance, ClassJuggler Dojo, ClassJuggler Fitness, ClassJuggler for Franchises, ClassJuggler K-12, Product Info, Swim ClassJuggler and tagged cheer class software, dance class software, dojo software, gymnastics class software, k12 class software, swim class software, tennis camp software on April 2, 2016 by classjuggler. MANY New Features, Tools, and Fixes for Our Customers! As always, ClassJuggler upgrades are no charge and no sweat — as soon as you log in to your ClassJuggler account, you’ll instantly see and receive the benefit of Version 6.6.0, launched this month. It includes valuable new features, enhancements, and bug fixes – a total of 60 updates! Introduced Customer Communication Tracker – a powerful CRM tool for tracking all incoming and outgoing customers communications. Many fixes related to class maintenance, customer transactions, customer self-service tools, student maintenance, reports, e-mail tool functions, attendance management, and more. Read the Online Help Guide page details on the Customer Communication Tracker tool. 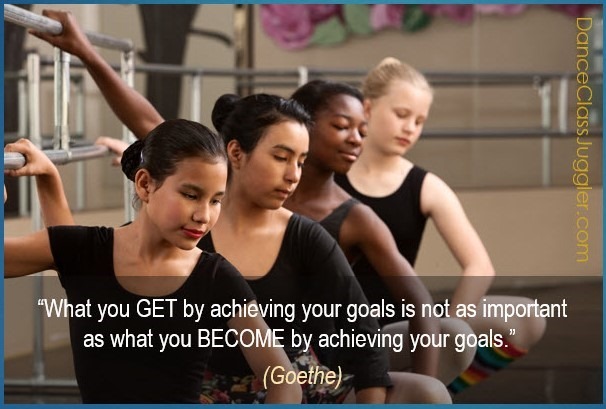 This entry was posted in ClassJuggler Dance, ClassJuggler Dojo, ClassJuggler Fitness, ClassJuggler K-12, Music ClassJuggler, Product Info, Swim ClassJuggler and tagged cheer class software, dance class software, dojo software, gymnastics class software, k12 class software, swim class software, tennis camp software on March 28, 2016 by classjuggler.